Looking for a New FIAT 500 in your area? CarGurus has 265 nationwide FIAT 500 dealers with 1,131 new car listings. The plucky FIAT 500 is available both as a two-door hatchback and a two-door cabriolet with a soft-top that slides to the back of the roof. The four-seater enters 2018 with important powertrain and options updates. The basic exterior and interior carry over as before since the latter had been given a thorough re-do in 2017. The trims - Pop, Lounge, and Abarth - return for both body styles. However, much of the content from the earlier Sport Appearance package, like the upsized 16-inch wheels, body-colored front and rear fascias, fog lights, and ground effects, is now standard on Pop and Lounge. Pop and Lounge also get performance brakes and performance suspension. The base trim, Pop, includes Bluetooth, a 5.0-inch touchscreen display, dual USB ports, voice commands, and a 7-inch instrument cluster display. Lounge adds leather and a fixed glass sunroof. Abarth continues as the sportiest variant with a heritage scorpion badge in place of the Fiat emblem, unique ground effects, dual exhausts, black wheels, and a spoiler. Inside, there’s a similar dark theme with grey accents and special racing-inspired front seats with cloth upholstery. FIAT offers a few choice options, such as the Beats Audio Package with six speakers and a subwoofer. The Popular Equipment Package adds automatic climate control, heated seats, and Sirius XM radio. Navigation is a standalone option, and leather is optional on Abarth. The previous base engine for Pop and Lounge, a naturally-aspirated engine with a 101 horsepower rating, has been axed for 2018. In its place is a turbocharged 1.4-liter inline 4-cylinder unit with 135 horsepower and 150 pound-feet of torque. That engine gets paired with either a 5-speed manual transmission or a 6-speed automatic. Abarth has a tuned up version of this engine with 160 hp and 183 lb-ft along with a unique exhaust setup that delivers a throatier sound than the Pop/Lounge engine. Again, a 5-speed manual is standard and a 6-speed automatic is optional. The automatic offers 24 city mpg, 32 highway, and 27 combined. The manual offers a slightly higher mpg with 28 city, 33 highway, and 30 combined. Safety technology is pretty basic, consisting of airbags and a newly-standard reversing camera for 2018. There is no blind-spot monitoring and no parking sensors, nor are there advanced features like adaptive cruise control or forward collision mitigation. 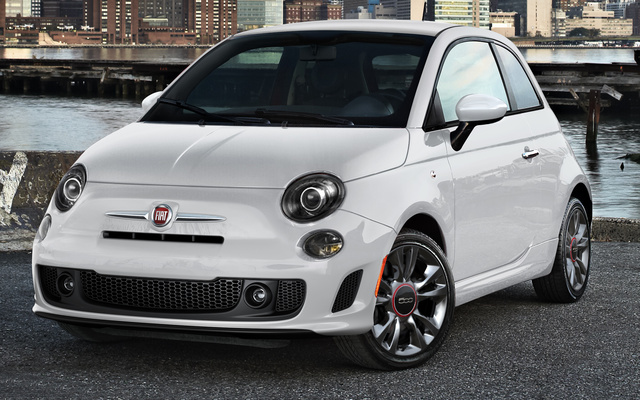 The 2018 FIAT 500 receives its biggest number of changes since the model’s debut for 2012. All variants now get turbocharged engines and a more-modern sporty look as standard along with several features, making it a more attractive proposition than previous models. What's your take on the 2018 FIAT 500? GuruWRKWG What about reliability? This is a constant problem. GuruVS45X Went from a 2011 Malibu LT to a 500. I can feel the road...so much, every bump. And speed, wow, I will definitely never get a speeding ticket. But its cute and I can reach the pedals. Have you driven a 2018 FIAT 500? Enter your zip to see incentives for a new 500 in your area. CarGurus has 2,917 nationwide 500 listings starting at $2,500.